Help Team 10 Experience go Over The Edge for YWCA Northeast TN and Southwest VA! 10 Experience, Home of CrossFit 423 hasn't added a story. I'm going Over the Edge to help children and families in the Tri-Cities region by raising funds for Speedway Children's Charities and YWVA NETN & SWVA. When I reach my goal, I'll celebrate on June 8th by rappelling 10 stories down the tower at Bristol Motor Speedway! Funds generated by this event will benefit organizations who feed and clothe local children in need, provide supplies and medical equipment for kids with disabilities, give children in low-income families access to high-quality early education, and more. Please consider making a donation to help me reach my goal. 10 Experience, Home of CrossFit 423 hasn't posted any updates yet. Join 10 Experience, Home of CrossFit 423 in making this campaign a success. Together we can do good for the cause we believe in. 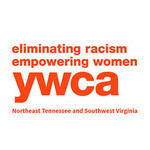 YWCA Northeast Tennessee and Southwest Virginia is managing the funds for this campaign.